"Human Rights — Why Bother?" That's the title of the winning entry to the American Heritage Essay Contest at the center of "Greater Tuna," the hit comedy by Jaston Williams, Joe Sears, and Ed Howard that WallByrd Theatre Company will present this week. 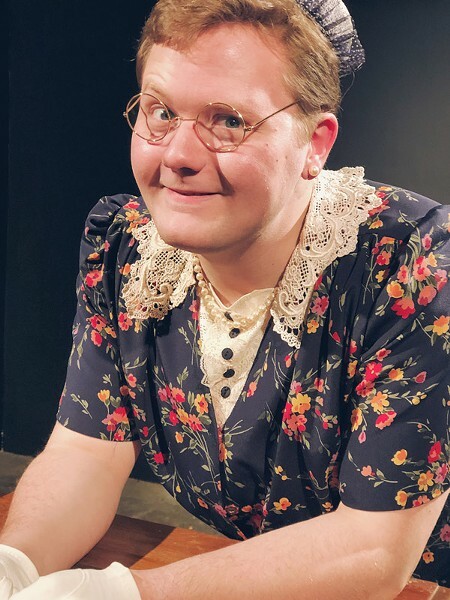 Directed by Virginia Monte, the show is set in Tuna, the third smallest town in Texas, as two radio hosts broadcast the day's headlines, including that essay. As the story continues, just two actors (Shawn Gray and Fred Pienkoski) portray 20 of the town's residents discussing life and politics. "Greater Tuna" will be performed at The Avyarium, Suite D242, at the Village Gate (Entrance B), on Thursdays through Sundays beginning on January 17 and wrapping on February 3. Thursdays and Fridays, 7:30 p.m.; Sundays, 2 p.m. Tickets start at $22 and are available online wallbyrd.com or at the door.